01/24/2017 - All I have learned, I learned from books……. When a good book is involved, it is easy to have a blast, and Language Arts is full of great ones! 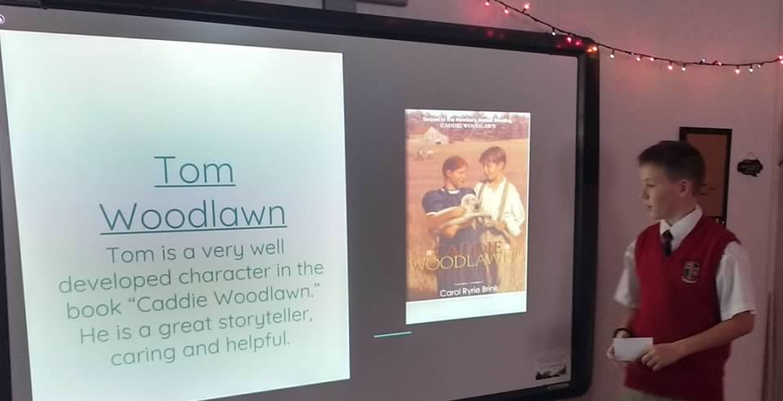 Right before break, our 6th grade class had the opportunity to share presentations about a character from a novel they had just finished, Caddie Woodlawn. These characterization presentations gave our 6th graders a chance to step in the shoes of another, and to connect on a deeper level with a character from the story. The class reveled in the challenge, and brought to light many characters that may typically be overlooked, inspiring each other to see the story in a new way. Most recently, our 7th graders have begun reading the enthralling work of non-fiction, Our Lady of Fatima. 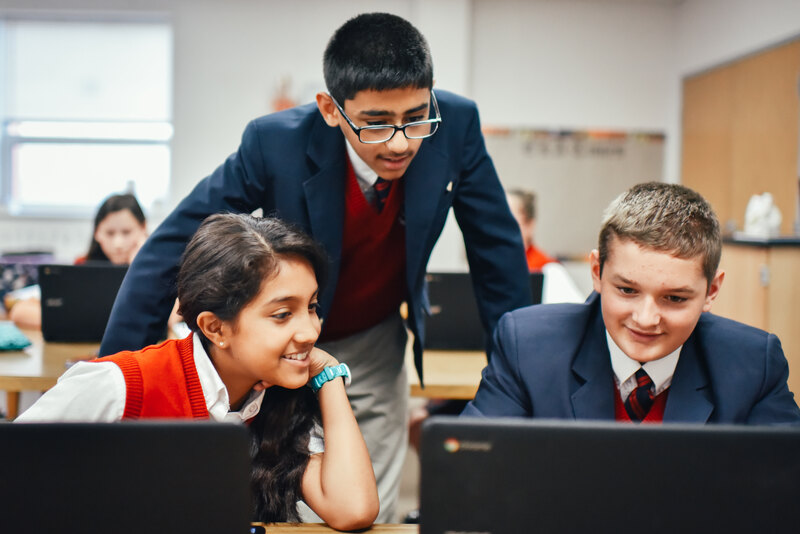 As a class, the 7th grade will be uncovering the mystery of the miracle of Fatima while referencing other sources to compare the integrity of the text with other accounts. In 8th grade, the students have just finished their unit on Short Stories, concluding in the students composing their own. The creativity and diversity of the stories shared was truly incredible, as each student presented his or her work to the class. One could hear the voices of the 8th grade students develop and expand through their hard work. The joy which was poured into these stories flooded out into the class, and brought about better understanding of each other’s writing, as well as better understanding of each other. In all of the grades, it has been a great first half of the school year. With Language Arts Night coming soon, this last part of our year is sure to be even better!